In remote areas, compounds or sensitive spaces which require monitoring or patrolling, such as borders or areas infested with dacoits, terrorists, naxals or such undesirable elements, the search light becomes the handiest available tool to provide illumination. PROLITE brings you just what is needed with its durable and reliable range in searchlights. This range comprises self-contained rechargeable emergency halogen search lights and with change in trends, we have also introduced these products in LED. PEL 2.5 HSL is our product equipped with non maintained tungsten halogen lamp. 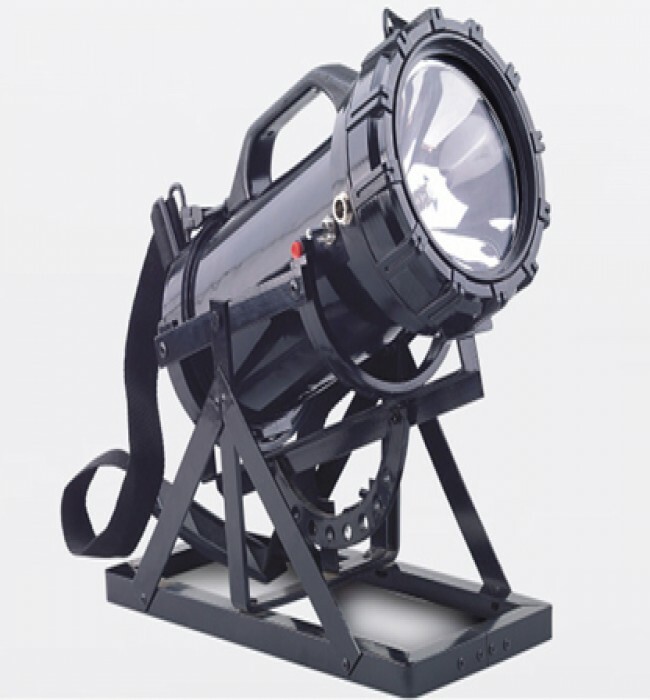 This searchlight comes with a 1.5 hour backup with visibility of 150 to 200 metres. PEL10 HSL is a bigger version with same features as PEL 2.5 but with a higher visibility range of 300 to 500 metres. PEL 150 HSL is the hulk in this range with visibility of 700 to 850 metres. This product also comes with a stand and besides the standard ABS polycarbonate housing, we also manufacture it with aluminum housing if the client so chooses. This range of searchlights has been developed for use by CISF,CRPF, BSF and other security personnel connected to sensitive areas like mines, railways, police stations, jails etc. Police and paramilitary personnel can use these products to maintain tight vigil. This range of lights is environment friendly and also protected against dust.